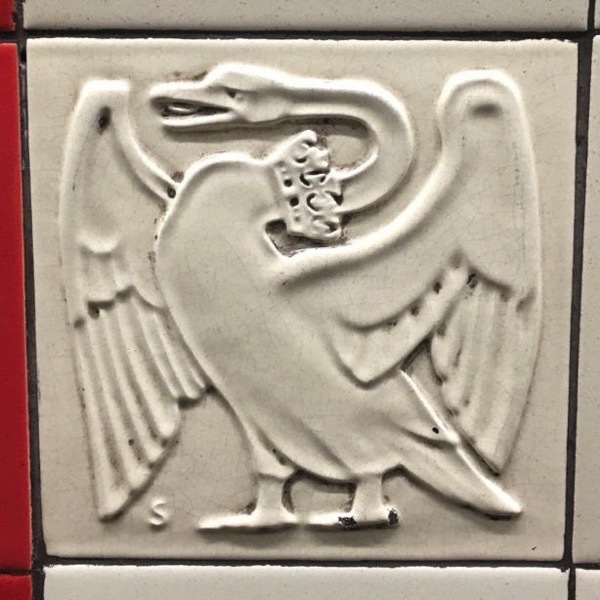 The author of A LONDON INHERITANCE (A private history of a public city) is one of the many luminaries among the alumnii of my blog-writing course and I am delighted to present his most recent post about the tiles at Bethnal Green Tube Station. A few places are available for my next course HOW TO WRITE A BLOG THAT PEOPLE WILL WANT TO READ on 19th & 20th May. Join me for a weekend in an eighteenth century weaver’s house in Fournier St, enjoy delicious lunches from Leila’s Cafe, eat cakes baked from historic recipes at Townhouse, discover the secrets of Spitalfields Life & learn how to write your own blog! I have no idea how many times I have walked along the Central Line platforms at Bethnal Green. Yet in all these years, I cannot say that the tiles on the walls have drawn a second glance from me or that I have appreciated the purpose behind their design – until now. A couple of weeks ago, I spent some time walking up and down the platforms, studying the designs of the illustrated tiles interspersed among the plain ones and photographing them. Subsequently, I have tried to discover the inspirations for these designs which represent London landmarks and heraldic symbols for the counties served by London Transport. Many contain the initial ‘S’ for Harold Stabler who was the designer. Originally, Stabler was asked by Frank Pick, Managing Director of London Underground and first Chief Executive of London Transport, to design a rabbit mascot for the country buses run by London General in 1922. Born in 1872, Stabler was a skilled designer working in a number of materials including precious metals, and one of his most famous commissions was the Ascot Gold Cup. In 1936, he was appointed by the Royal Society of Arts as the first Designer for Industry, consulting on design for industries and public bodies. 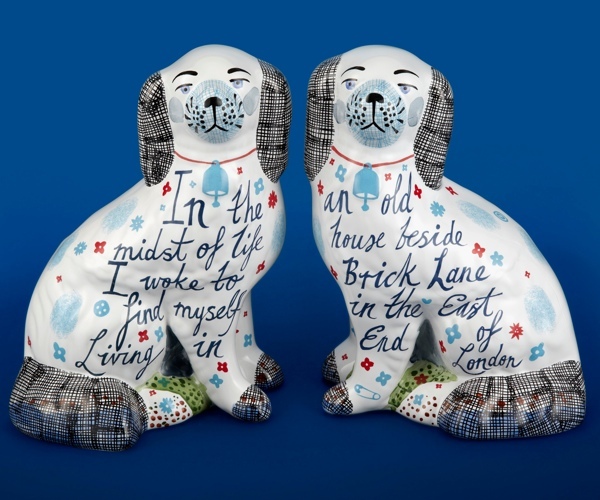 He was involved in the creation of Poole Pottery who manufactured the tiles for the Underground. 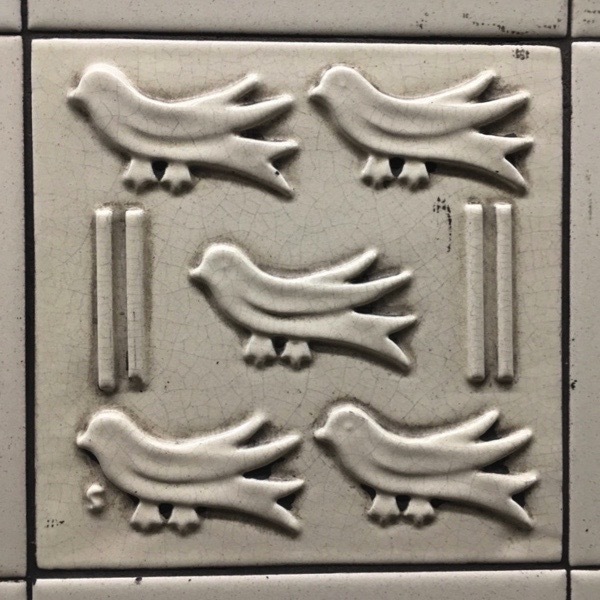 Although his eighteen tile designs were executed in the thirties, Bethnal Green station did not open until 1946 since work on the Central Line extension was delayed by the war. 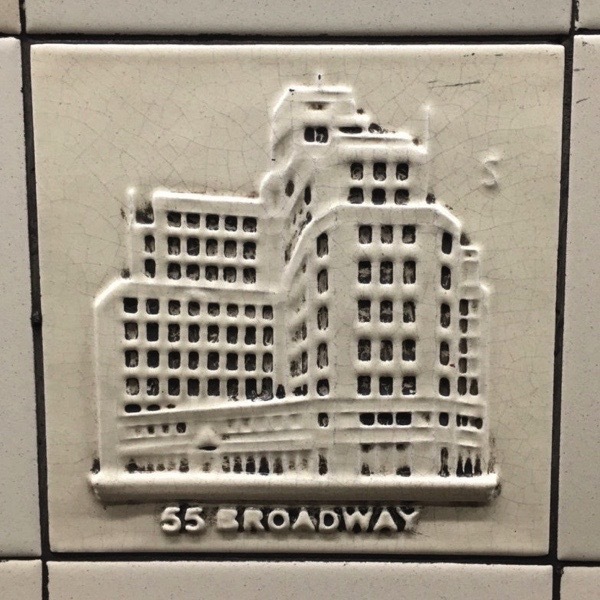 The first tile represents of London Underground’s headquarters at 55 Broadway and my photograph below shows how accurate the representation is. In this representation of the Palace of Westminster, there are two crowns and a bowler hat representing the Monarch, the Lords and the Commons. 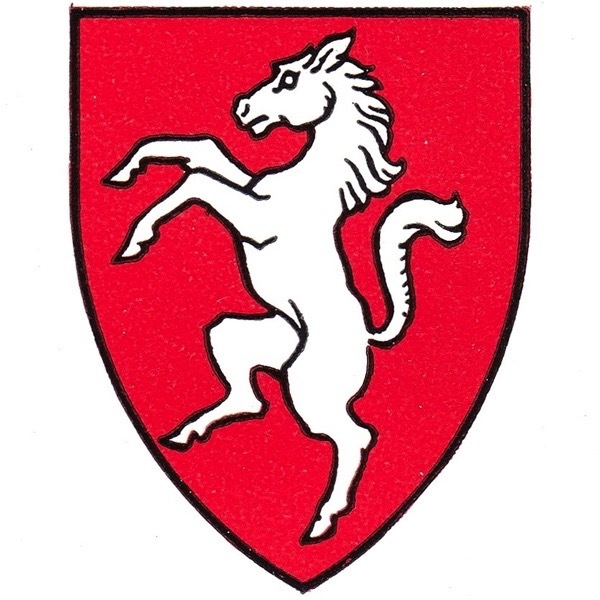 The following tile shows five maidens which represent the County of Berkshire. 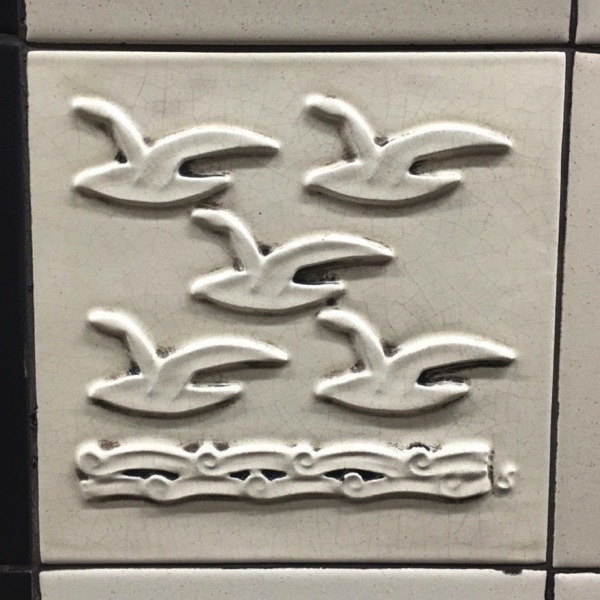 Another tile has five birds flying over water, representing the River Thames. 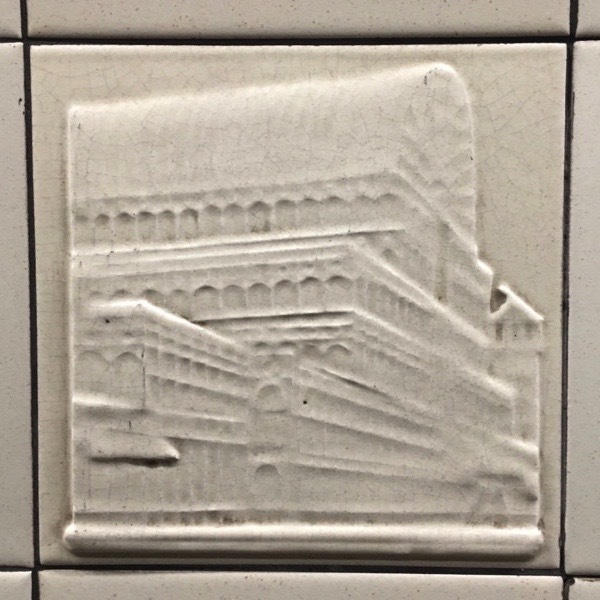 This design is of the Crystal Palace, however this tile does not have the ‘S’ to be found on all the other tiles, so it may not be one of Stabler’s originals. 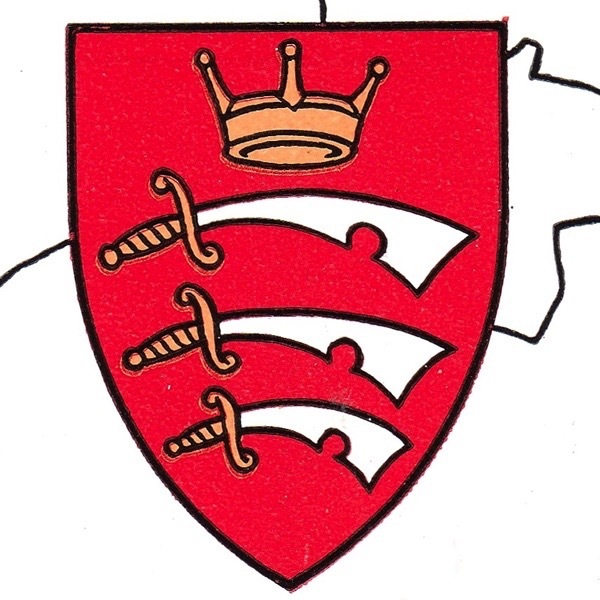 This tile illustrates the coat of arms for the County of Middlesex as shown below. The following design is a bird of prey representing the County of Bedfordshire. 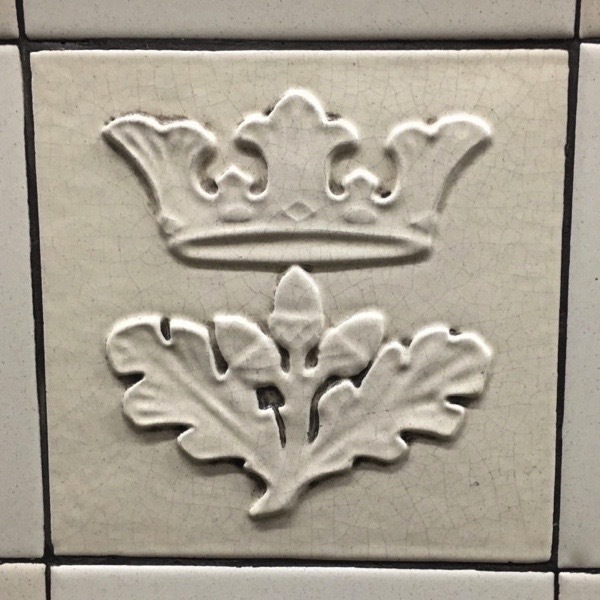 This tile shows a crown above oak leaves with acorns from the coat of arms for the County of Surrey. 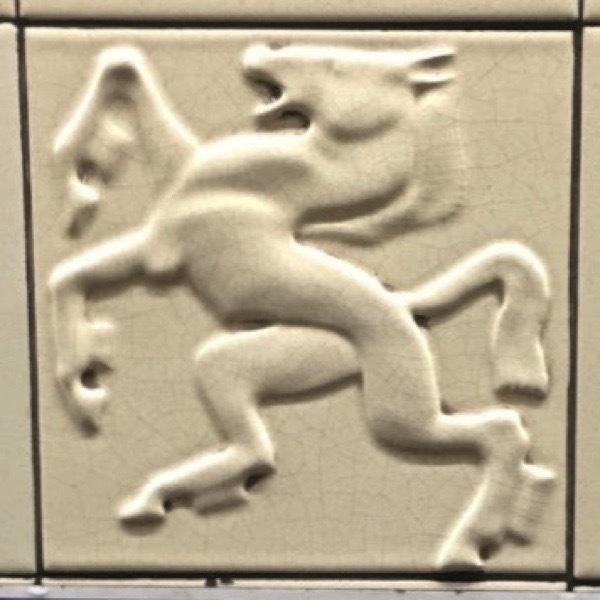 This tile has the design of a rearing horse from the coat of arms for the County of Kent. 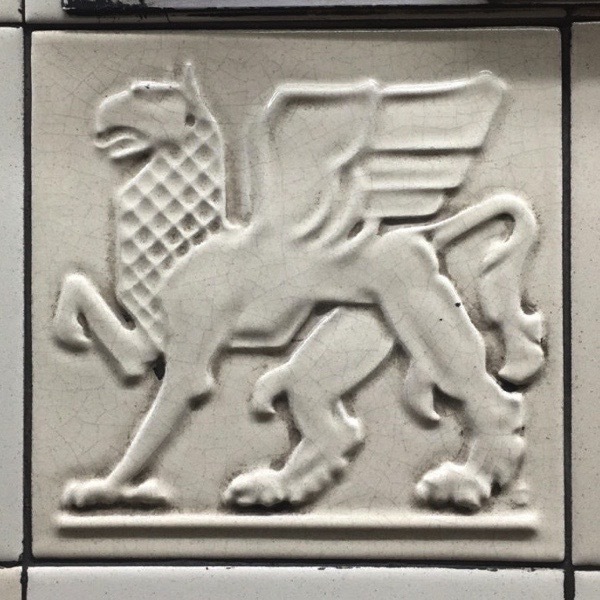 This winged griffin was the original symbol of London Transport. 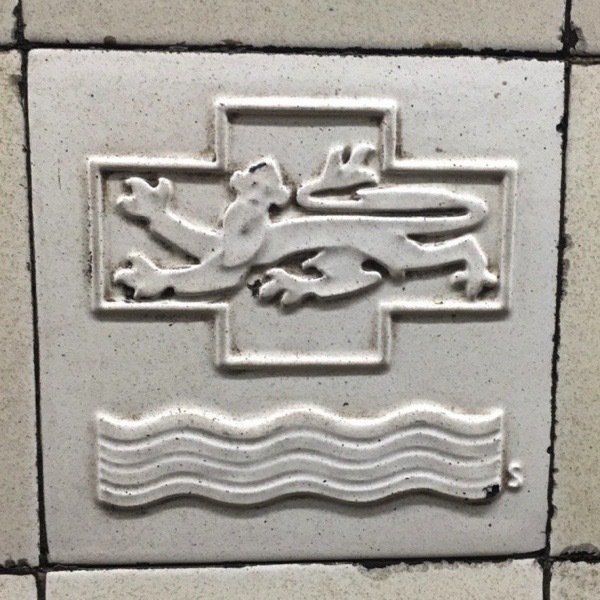 This tile above is a representation of the coat of arms of the County of London. I hope I found all the different designs at Bethnal Green, I spent some time walking up and down, photographing the tiles. There are multiple copies of each of these designs on both platforms. In 2006, many of the plain tiles along the platform were replaced with replicas. There are still some original panels of tiles and I understand that the decorated tiles are original. Yet the Crystal Palace tile may be a reproduction as it does not include Stabler’s trade mark letter ‘S’ and has different finish to the rest. 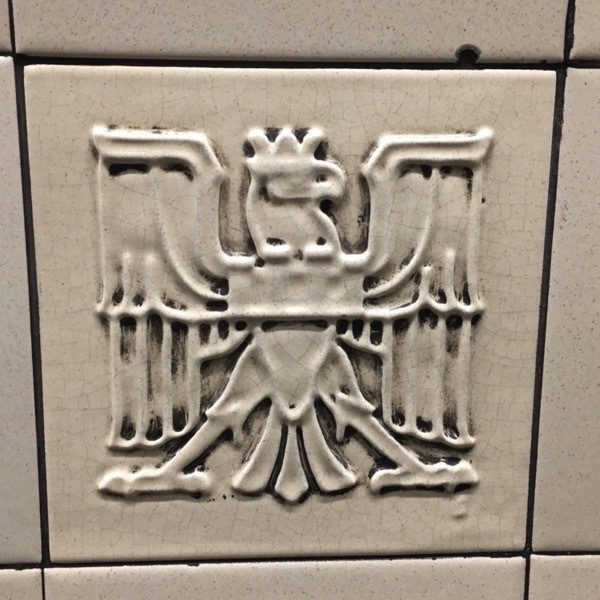 Stabler’s decorated tiles were also installed at St. Paul’s, Aldgate East, St. John’s Wood and Swiss Cottage Underground stations. I believe they are still to be seen at Aldgate, but I am not sure of the other stations – something to check when I next visit. Harold Stabler died in London in 1945 but his designs live on at Bethnal Green. The next course will be held at 5 Fournier St, Spitalfields on 19th & 20th May. Each course runs from 10am-5pm on Saturday and 11am-5pm on Sunday. I am probably not the only person who wishes for part two of the blogging course. Maybe in September? Interesting, informative, and impressive — particularly when one thinks of the research that went into finding images that corresponded to the tiles. Thank you. Has another cat adopted you yet? Also at Aldgate East ? A nice selection of tiles – I shall have to take a trip with the camera. I’d already done that at Aldgate East where (as one comment suggests) there are some too. 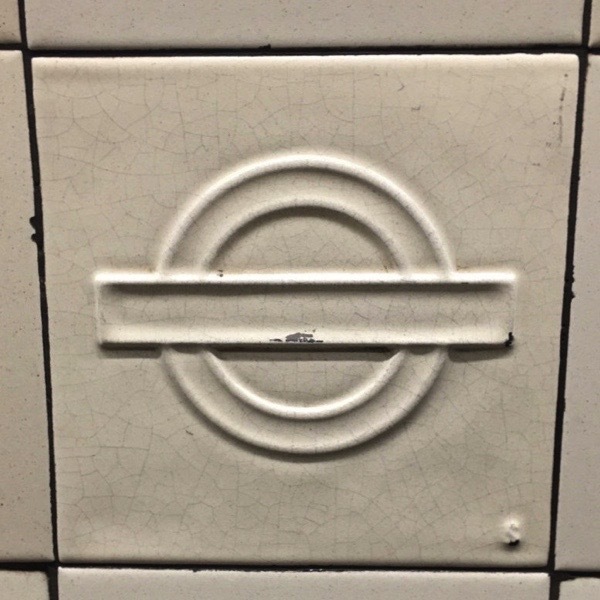 Also to be found at St John’s Wood (or St Johns Wood according to the platform tiles and roundels. For those who prefer not to type “Bethnal Green Station” into google the central line extension was started before the war but not opened for passenger use till after it. The five martlets in this case belong to Sussex, not Westminster. 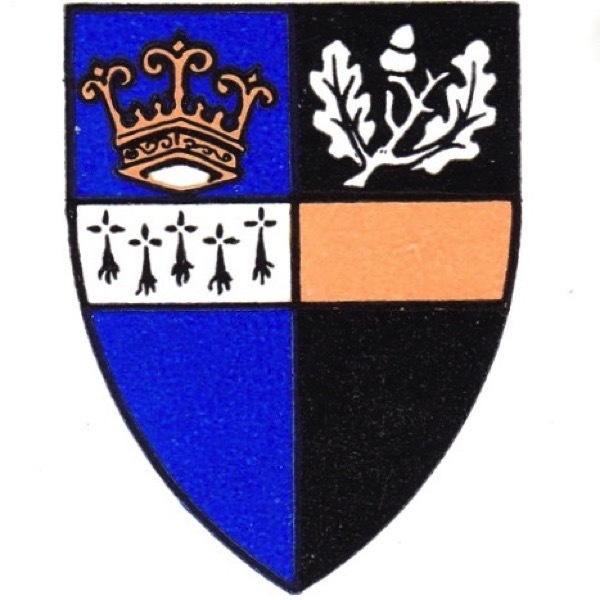 The City of Westminster has five martlets but they are taken from the arms of Westmimster Abbey which in turn took them from the “arms” of Edward the Confessor (heraldry did not exist at the time of Edward so someone invented his arms much, much later). The same set of tiles are also at St John’s Wood and these were listed by English Heritage (now Historic England) a while ago. The description and meaning of the tiles can be found on their website. GA, very interesting piece by the student in your blog class – giving life to an everyday environment. 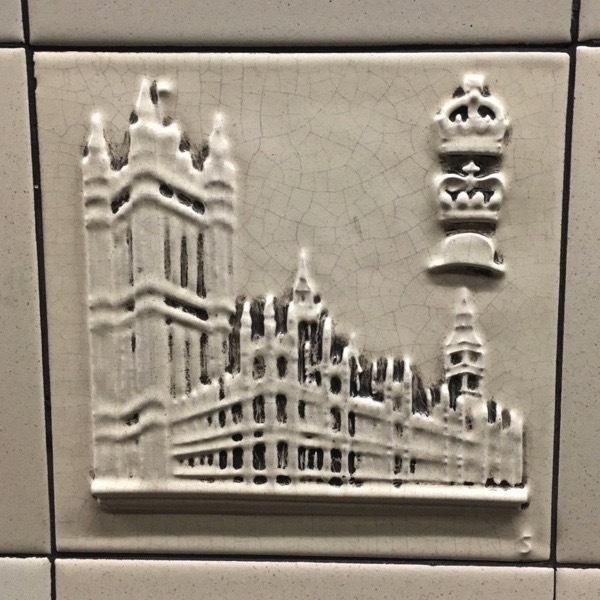 I particularly liked the Palace of Westminster tile with “two crowns and a bowler hat representing the Monarch, the Lords and the Commons.” Clever. 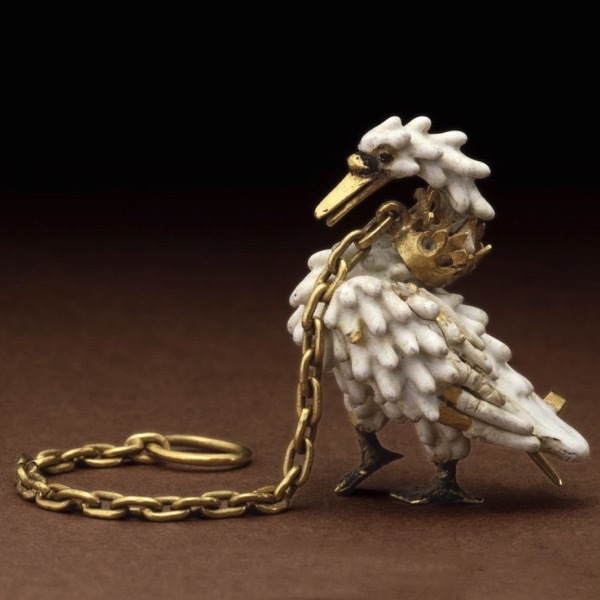 I also had to look up “marlett” defined in heraldry as a “representation of a bird without feet, used as a crest or bearing to indicate a fourth son.” Who knew? Chris H thanks for the google history lesson. I must admit I didnt know that it was not in use as a station until 1946 . I always assumed it was a station that was in use at the time . Having gone to school in Bethnal Green in the 60′s and being a Hackney resident, it was just common knowledge what occured at the station so I never thought to google it . 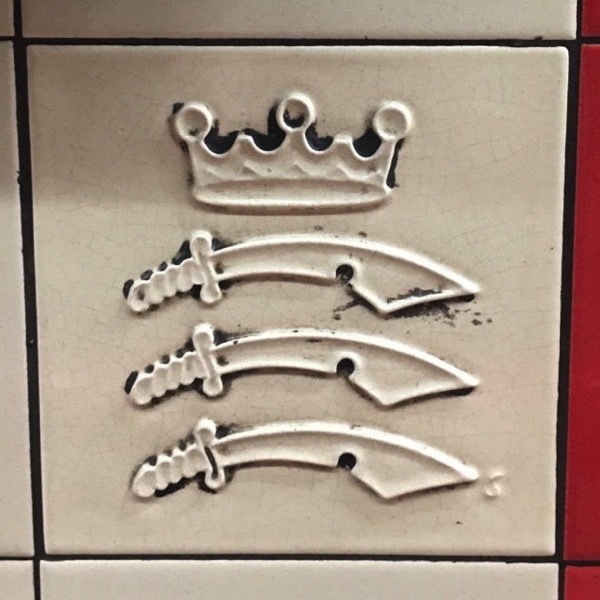 The station’s tiles are very nice but if you mention the history of Bethnal Green Station it is lacking something without mentioning this terrible event and the 173 people that died there. Good to see these tiles being featured. In an article in Poole Pottery Collector’s Club magazine, Autumn 2014, it was stated that the St Paul’s tiles were destroyed when the station was re-tiled in the 1980′s. It would be more accurate to say that the tiles were made by Carter and Co rather than Poole Pottery as Carter’s were the tile manufacturers. Harold Stabler worked for Carter’s as well as Carter, Stabler and Adams, the firm which later became known as Poole Pottery. 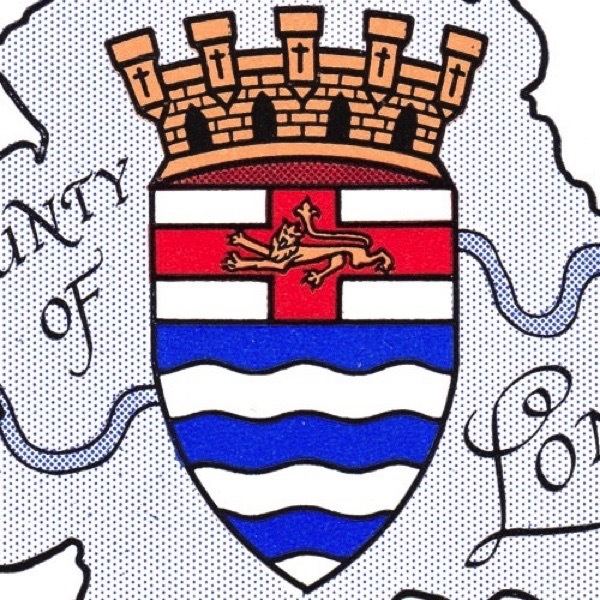 The heraldic symbols represented counties served by London Transport, not London Underground, as the former covered much more of the Home Counties with their Country Buses and Green Line Coaches than does LU today. I knew I had seen the tiles somewhere and now know it was at Aldgate East. 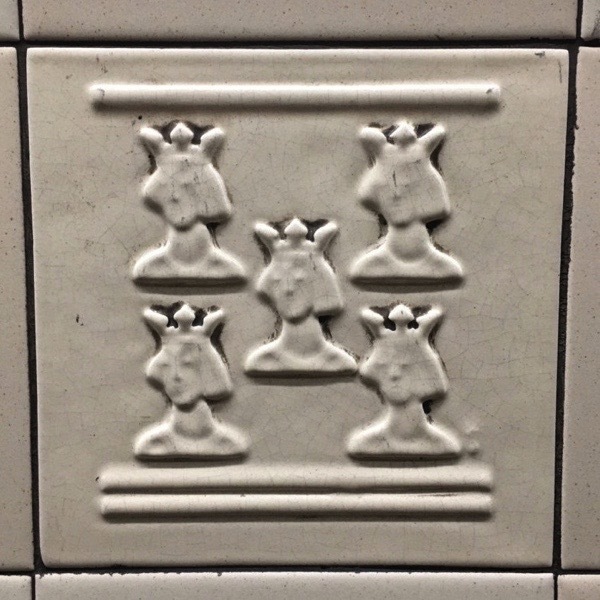 The Victorian Society says the armorial bearings are of the counties served by London Passenger Transport Board with ‘Aldgate East being the station with probably the best, if incomplete, set of Stabler tiles today’. The complete set are : London Transport bullseye (roundel), London Transport griffin symbol, 55 Broadway; Counties of Kent, Essex, Berkshire, Bedfordshire, Buckinghamshire, Middlesex, London, Kent, Surrey, Hertfordshire (Note that there is no representation of Sussex – but the tile with five martlets [birds] could be a misrepresentation of this as the though the Westminster Abbey banner contains five the country crest bears six); Houses of Parliament, River Thames, St Paul’s Cathedral, Thomas Lord, and the Crystal Palace. 18 different variations but no station had a full set. Also, the tiles came in two colour finishes – yellow (as per Bethnal Green) and biscuit beige (as per St. John’s Wood). What a delightful interlude this piece brought! Wonderful work both by the tile designer and the blogger. 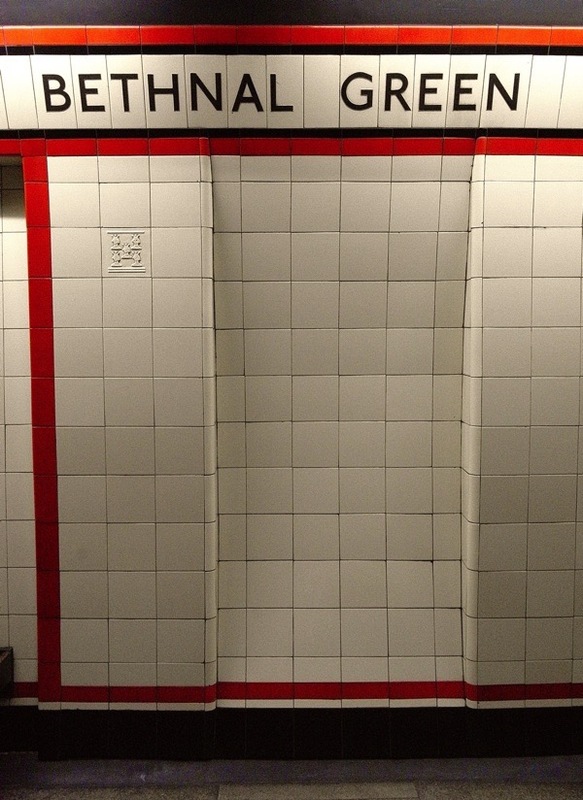 Fascinating stuff and as the LU manager responsible for the re-tiling I can tell you that apart from the deliberate retention of four panels (two per platform) every tile in the station including the name friezes (and the faience blocks in the ticket hall and subways) were replaced. This included the field tiles, borders and replicas of the Stabler tiles. 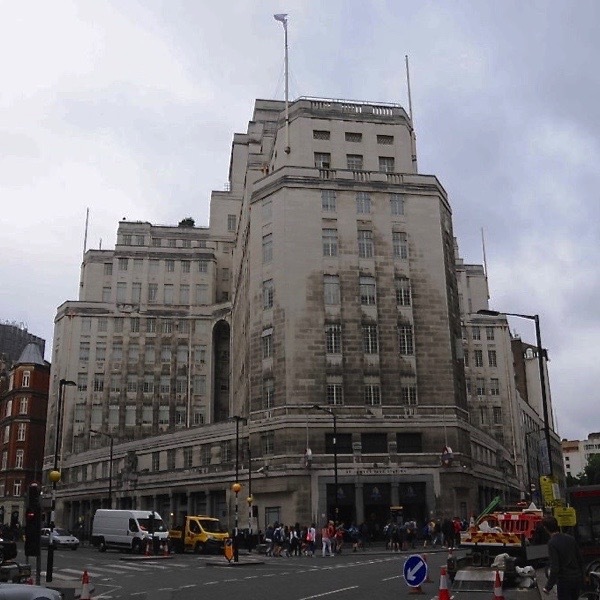 This decision was made after serious conservation and aesthetic issues with the partial replacement of 1930s tiles at Turnpike Lane made us work very closely with English Heritage (as it was at the time) to review conservation guidelines for 20th century ceramic tiles. The care and skill to make the new tiles, undertaken by Craven Dunnill Jackfield, was immense as matching the varigated glazes and original firing temperatures, was complex in the extreme; modern materials and techniques are different! For example, the original burnt sienna orange colour was made using, we think, uranium dioxide. Great skill was needed to ‘match up’ old and new, and make sure the setting out of tiling (so as to match tile numbers, widths and grouting) worked across the whole of the elevations. We also had to allow for subtle changes to the dimensions of advertising panels (to allow for metric not imperial poster sizes) and to ensure we got additional timber benches in. From memory, the lovely station thermometer niche on the westbound platform survives, minus a thermometer! For an unListed site it was quite an achievement.